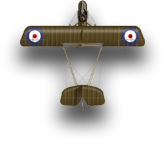 After many, many hours of work I have managed to get the new Aerodrome Accessories site up and running after the old site died on me. Since this is a completely new site running off of new software, I was not able to keep old customer data. This includes accounts, past purchases and wish lists. Hopefully you will find the new site easy and quick to navigate once you get used to it. I have loaded the vast majority of my products already, but if you are looking for something and do not see it on the site, please let me know as I might have overlooked adding it. Thanks for everyone's patience while I rebuilt the site. Placed my first order yesterday - quick and easy. And I was pleased to get more of a WGF aircraft I was kicking myself for only getting one of originally. Last edited by Stumptonian; 10-15-2018 at 13:51. So glad to hear you are back in business Keith. I like the updated design! Much easier to navigate on my mobile device! New site looks great, thanks for the fix. Really brought the place up to date chief. Sorry to hear about the old site. Glad to hear that you were able to reboot it. Will you be doing the custom A/C bases still? Great to see the Store back in business! Echoing Daniel above, will the Custom bases for WGF planes be available again? great to have it back!! liking the new look!!! thanks for all the hard work!!! I do plan on offering the custom bases, I just have to get it setup on the new site. Glad to see you on line again. I wish you much (more) success. An important question: will you be carrying custom painted models again, and hopefully on a more regular basis? I love the custom models I was able to buy from the Store, but often found I had missed a good buy since they were always snapped up so quickly. Didn't realize the old store had died completely, but hey, good on ya for re-doing it. Lot of work, hope it pays off in the end. I managed to get the Custom Flight Stands worked out on the new site. You can find them via the Flight Stands link in the left menu. I wish I could. The custom painted minis are not something that I can always have in stock. It can be rather hard to find someone that do the repaints for me on a consistent basis. It is also hard to have enough of some of the minis to even have painted up. Glad to see you back in business. My first order will be some custom bases. The new store looks great, looking forward to doing some shopping! is that before I could start a betting pool on fast they would sell out of Fokker D.VII's they sold out of Fokker D.VII's!!! Luckily I got in there quick. I was surprised to see them listed. Now I can follow Teaticket's example with the Starks. Now I can follow Teaticket's example with the Starks. Sorry, Keith, I am not sure where it was posted - may have been in an AAR. Perhaps Peter will see this and point you in the right direction. Basically it was about simple repaint of the Stark D.VII just replacing the lavender with other colors but taking advantage of the existing lozenges. I had previously bought extra Goering all-white thinking that was the best for repainting. i did this with one by replacing the pink with purple. thought i had pics of it but cant seem to find it atm. My plane you saw is in black in an AAR. (I have not yet added the white stripes.) I painted the chevron on the upper wing white. I have read these were white other than Stark. Under the lower wing they could be either white of black. Thanks for the info. Any idea what book that is from? Looks like the book is an Osprey - maybe one of the Fokker DVII volumes or perhaps the Jagdgeschwader III volume...? Mine are all still boxed from the move or I could check. I, too, remember reading somewhere that the other planes in Stark's Jasta followed his paint scheme but with different personal colors - painted as his lilac was, but in their colors. You got it Matt, it is near the end of the Osprey Fokker DVII Aces I. Sorry I didn't mention that before. When I asked a question a while back about J35, Chris sent me some info. I didn't remember where it was from till Matt mentioned the Ospreys. Maybe someone should start some threads in the Hobby section that covers easy repaints of the official minis. A thread for each aircraft type. I would definitely make use of that. well, happy as a lark, snagged a georing for a repaint and some altitude glue for those damn dropsy se5a bases through my wingman merlin14. thanks herr oberst! Great news! I like the new layout. Hi Baz, welcome to the game and site. I don't have a UK distributor (I'm a one man shop just selling the game that I love to play), but I do ship to many of your UK and EU co-pilots. Are the shipping costs at time of purchase accurate? I was about to place an order but the listed shipping cost to Canada is astronomical. The new site sometimes gets the shipping wrong. If you send me a PM with what you want and your address, I can manually check it for you.